9 March 2015: A prominent Cardinal of the Catholic Church has called for Catholics to imitate the Christian martyrs in defence of marriage and human life. 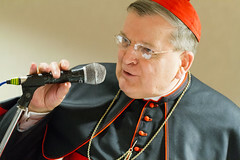 His Eminence Raymond Leo Cardinal Burke made the call this past weekend in addresses for Voice of the Family http://voiceofthefamily.info/ and the Society for the Protection of Unborn Children (SPUC) www.spuc.org.uk in Chester and Southport, north-west England. The cardinal said that the faithful must be ready to suffer, as Christians have suffered down the ages, to defend the sanctity of Holy Matrimony. Many people attending the address asked Cardinal Burke to autograph their copies of “Remaining in the Truth of Christ: Marriage and Communion in the Catholic Church”, the popular Ignatius Press book co-authored by the cardinal on authentic Catholic teaching on marriage and the Sacraments. On Saturday evening Cardinal Burke also addressed 150 young people at SPUC’s annual youth conference in Southport on the theme of “The New Evangelisation of the Fallen Christian West“. 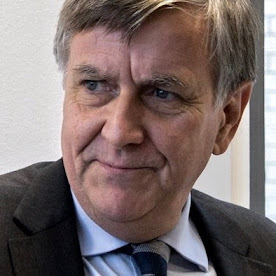 He started his address by saying that he had long admired SPUC, its work and John Smeaton, its chief executive. Cardinal Burke described the family home as “the cradle of life” and lamented the wholesale destruction of the baby in the womb. He asserted that there is no such thing as ‘alternative sexualities’, only sexuality as enshrined by God in human nature. On Sunday morning he celebrated Pontifical Low Mass in the traditional Roman rite at the Church of Ss. Peter and Paul and St Philomena, New Brighton. In his homily on the Gospel text of the Mass, Cardinal Burke said that our Lord warns the faithful to be aware of those things which lead them into repeating sins, such as those of lust. Today the cardinal is making a pilgrimage to the Shrine of St Augustine, Ramsgate to pray for England. During his visit the cardinal urged the faithful to turn to the intercession of Our Lady of Walsingham and the many English martyrs and saints, especially St Thomas More as a martyr for uncompromising obedience in conscience to the moral law. The true understanding of conscience (recognition of truth) is held by the Church, in contrast to the world’s false understanding (relativism), he said. In public life, only being true to the natural moral law can serve the common good.